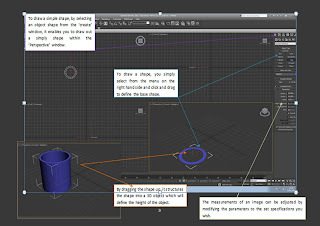 Creating an object is quite simple to begin with. 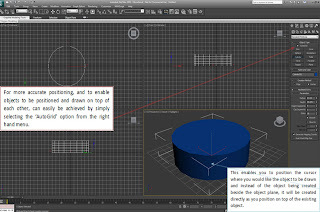 Using the tools available in 3DS Max you simply select from the menu on the right hand side and click and drag to define the base shape. 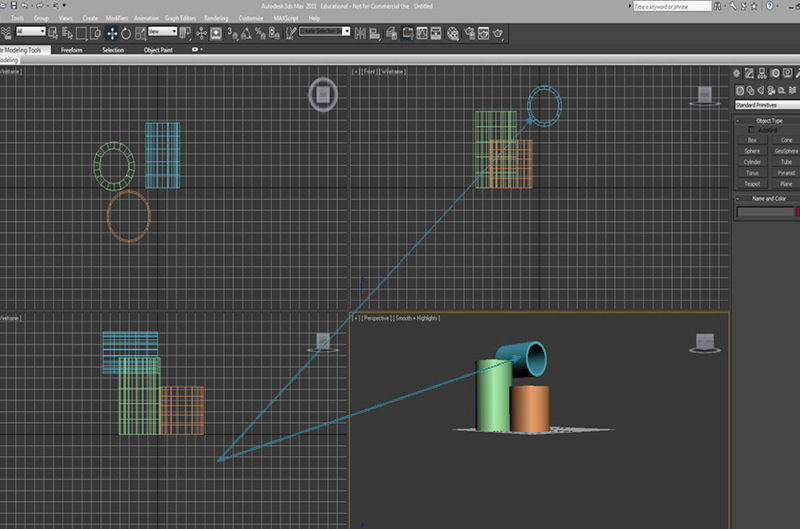 To draw a simple shape, by selecting an object shape from the ‘create’ window, it enables you to draw out a simply shape within the ‘Perspective’ window. 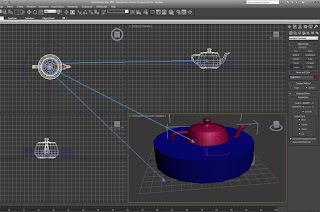 The measurements of an image can be adjusted by modifying the parameters to the set specifications you wish. An object can be drawn in either one of the four perspective windows. The four windows enable you to see the design in four perspective views. If a shape was drawn onto the grid from the default Perspective angle then it will appear directly beside the object as you have drawn it. However if an object is drawn in the top view window, then the object is drawn on to a invisible plane. 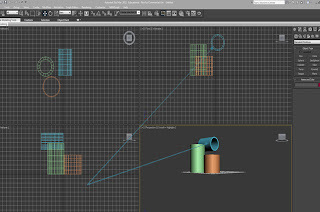 For more accurate positioning, and to enable objects to be positioned and drawn on top of each other, can easily be achieved by simply selecting the ‘AutoGrid’ option from the right hand menu. 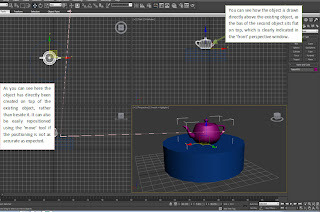 By positioning the cursor where you would like the object to be drawn and instead of the object being created beside the object plane, it will be created directly as you position on top of the existing object. 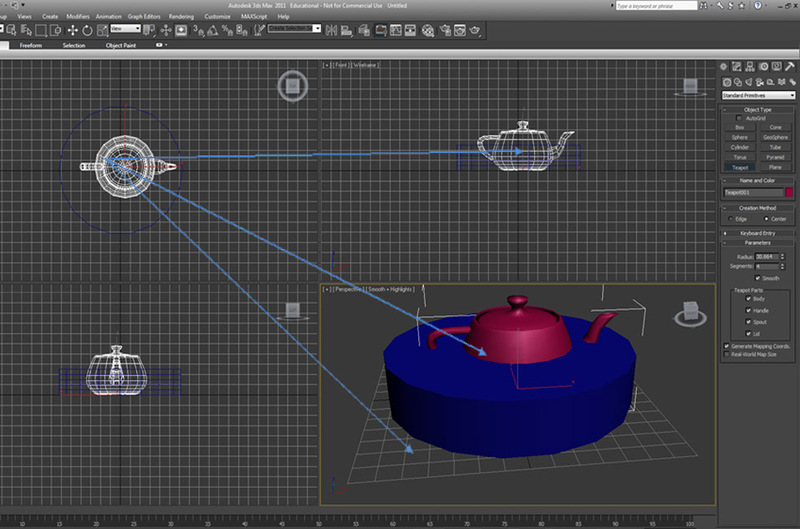 As you can see here the object has directly been created on top of the existing object, rather than beside it. It can also be easily repositioned using the ‘move’ tool if the positioning is not as accurate as expected. 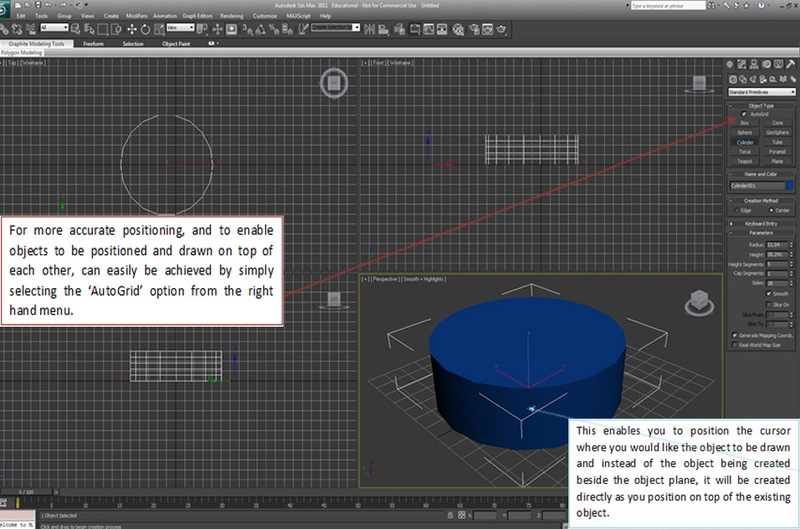 If the ‘Autogrid’ option is not selected and a second object was created onto of the existing object, then it will not sit as a flat surface. The object is drawn as though it is being drawn from the ‘Perspective plane’, and begins drawing it from the surface of the ‘plane’ rather than the surface of the object you wish to draw on top of. However the idea of a sunken object, I feel works quite effectively and will be interesting to incorporate both design perspectives within my chosen design. It gives the aspect almost as though an object is sinking, or floating, which as a 3D prototype could be quite interesting.